Using your own photos, you can create the ultimate games, toys and puzzles for an amazing gift that both kids and adults alike will love. Select from our range of gift ideas including personalized teddy bears, photo puzzles and custom playing cards that are sure to be a hit, no matter the occasion. Perfect for birthdays, holidays or simply to show appreciation for someone you love, you can choose from a wide variety of customized options that are guaranteed to please, no matter who’s on your shopping list. You can design an amazing gift using your favorite photos and text for a one-of-a-kind expression of your love. Design a personalized toy or game for your kids, your best friend or your relatives, and use a favorite photo that they’re sure to adore. Design a great gift in minutes using our user-friendly project editor with these easy steps. Begin your project by uploading your photos to your MailPix account. Then choose your personalized gift to get your project starte! Afterwards, select your background template or style to add a customized look to your layout. Once your project opens in the builder, choose your photo arrangement and even add your own text using the built-in toolbar. Once you have built your layout, simply drag and drop your photos into place. Finally, review your layout and place your order. Once your customized toy or gift arrives, wrap it up and give it to a special someone for an amazing gift that is sure to be admired. With our wide range of customized options, you can design something special that is sure to compliment their style and personality. Whether you’re looking for a stunning holiday gift or a unique birthday present, our customized games and toys will be well received, no matter who’s on your shopping list. Incorporate a stunning photo and add your own text to tailor your gift to your loved one’s taste and unique personality. Maybe you have a nephew with an upcoming birthday. Our personalized teddy bear wears a small hooded sweatshirt that includes your photo and text. 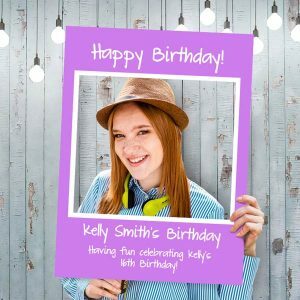 Add a picture of your nephew along with a thoughtful birthday message for a gift that will become a personal keepsake that he is sure to enjoy for years to come. Perhaps you have a friend with a little one who’s growing up fast. Our personalized photo growth chart would make the perfect gift. Include a collection of fun, candid snapshots of your friend with her daughter and add her name to the chart for a truly unique gift that is fully customized with her favorite memories. Do you have a relative that’s a fan of card games? 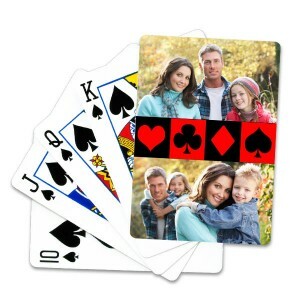 You can’t go wrong with our customized playing cards. Add a picture that they’re sure to love and gift it to them for the perfect holiday or birthday gift. Our card decks come in several template designs that are great for any serious card player. Whether you’re looking for a gift for Mom or even your favorite coworker, we have something for everyone. Just select a series of photos and let your creativity flow. In no time, you will have designed a unique gift that is sure to be a hit! Our photo teddy bears make a great gift for kids or your sweetheart. Design one with a romantic photo for the perfect anniversary or Valentine’s Day gift. Or, maybe your daughter is having a birthday and she has a collection of stuffed animals. Design a teddy bear with her favorite picture and add your own text for the perfect addition to keep her company every night. With a variety of personalized options, you can create a teddy bear that she’ll love with all her heart. Perfect for your growing son or daughter, our personalized growth charts can be customized with their photos and even include a spot to add their name for a truly unique décor accessory. With its peel and stick backing and variety of available templates, you are sure to create a growth chart that will brighten their room. 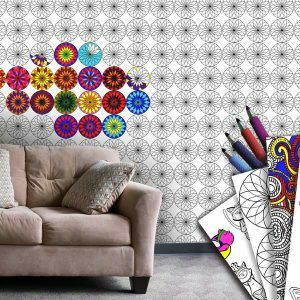 Save not only your walls from being marked up but also their growth progress for a personalized keepsake that will be enjoyed after they grow up. Each chart is printed on a durable, high quality fabric for year after year of enjoyment. Our photo card deck is a great way to spice up family game night with your friends and family. We offer full photo and collage templates to decorate your card deck with your most cherished memories. Incorporate some fun family snapshots or your best vacation pictures so you can admire them while playing a spirited game of cards with your loved ones. Make your own card deck to add to your current game collection or create one for a special and personalized gift that everyone will love. Watch your favorite memory appear before your eyes with our personalized photo puzzle. Include any digital image and create the ultimate puzzle to work on with your loved ones for a night of quality fun. Each puzzle includes a carrying tin that is printed with your selected photo. Great for a quiet Sunday afternoon or even a rainy day at home with your loved ones, you can design your own puzzle using your treasured digital photo for hours of fun and enjoyment. 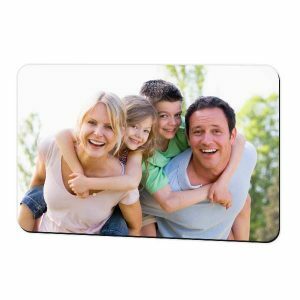 Our 4×6 photo magnets are perfect for displaying your photos on your refrigerator, car or locker at school. Choose a prized picture to display in a unique way and forego the use of traditional magnets that are easy to knock off your fridge while grabbing a bite to eat. One you add your magnet to your fridge, it’s guaranteed to stay put so you can easily rearrange your photo magnets as needed. No matter the occasion, you can create a series of photo magnet to replace the regular photographs hanging on your fridge or order them for a thoughtful gift for any friend or family member. Add a personalized touch to your family leisure time and design your own game using your own photos with a customized template. Not only will you enjoy your game in style but you will love reminiscing about your favorite memories while spending quality time with your family. Everyone loves a good card game. Why not take your card game to the next level with a card deck designed by you. Choose from various photo layouts to add a little color and personality to the game. Display your best wedding photos or create a layout for the back of your cards that showcases your fun, family snapshots. Break out your new deck of customized playing cards for a night full of fun and smiles! Or, design your own jigsaw puzzle for hour after hour of entertainment. With our customized puzzles, you can choose a prized photo and have it custom printed on not only the puzzle but also the lid of the puzzle tin. Transform your puzzle into a beautiful display of a fond memory and spend a leisurely evening with your loved ones watching your photo come to life. Are you looking for a unique gift for your kids or maybe a customized decorative accessory for their room? Find your kids’ favorite photos and design something they’ll cherish, year after year. With our variety of custom templates and photo layouts, you can easily make something special for them that fits their personality. Add a little color and character to your kids’ bedroom with our custom photo growth chart. Include your child’s best photos on your growth chart layout as well as their name to make it a fully personalized piece of wall décor that adds interest to their bedroom. 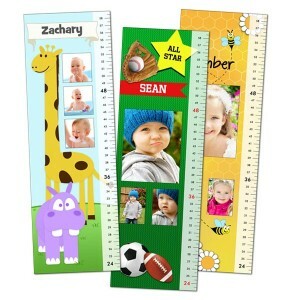 Not only will our growth charts brighten any room but you can keep up with their height without marking up your walls. Using our project builder, you can personalize any game, toy or gift that we offer using your most cherished photos. Incorporating your memories into your design will add a unique twist and is sure to bring smiles to friends and family alike. Add your most treasured vacation photos to your card deck photo layout or print a favorite photo of yourself with your friends on a photo teddy for an imaginative gift that is perfect for anyone on your shopping list. No matter the occasion, you can use your own creativity to design a special gift for a loved one or even something fun, just for you!